AUGUSTA, Maine — Without fanfare, Gov. 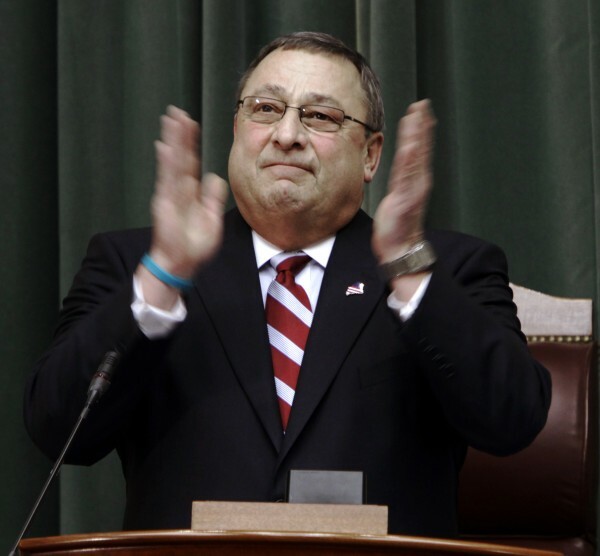 Paul LePage on Tuesday signed a supplemental budget package that pays the state’s bills through June 30, the end of the current fiscal year. The budget includes several million dollars worth of savings achieved through attrition and further departmental streamlining. It also includes new spending for court security and indigent legal services, among other things. The bill signed by the governor does not include two line items that he vetoed on April 14, less than a day after the package passed overwhelming in the House and unanimously through the Senate. The vetoed items were: funding of general assistance for the 2013 fiscal year and the “disproportionate share” funding to hospitals and psychiatric facilities, which offsets losses in federal funding. Both items are expected to be put back on the table when lawmakers resume discussion of another supplemental budget that address a projected 2013 shortfall in the Department of Health and Human Services. That budget is expected to cause a great deal of heartburn among lawmakers and the governor hinted at the impending battle in a statement issued Tuesday. “While Maine now has a balanced budget through June, we must look ahead and address the fiscal challenges we face for 2013,” LePage said. “In order to make the systemic changes that are needed to put Maine on better financial ground we must work together. “As members of the Appropriations Committee begin working toward common ground to resolve the shortfall, I encourage an open dialogue, which acknowledges the need for structural changes within government,” LePage said. Although the governor signed the supplemental budget on Tuesday, it would have gone into effect Wednesday with or without his signature.